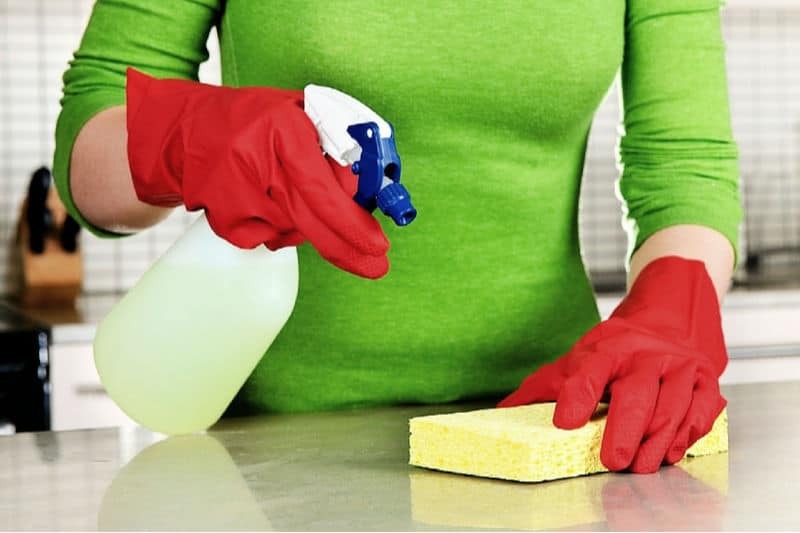 If you’re tired of giving up your weekend to do housework, try these seven smart ways to make cleaning faster. 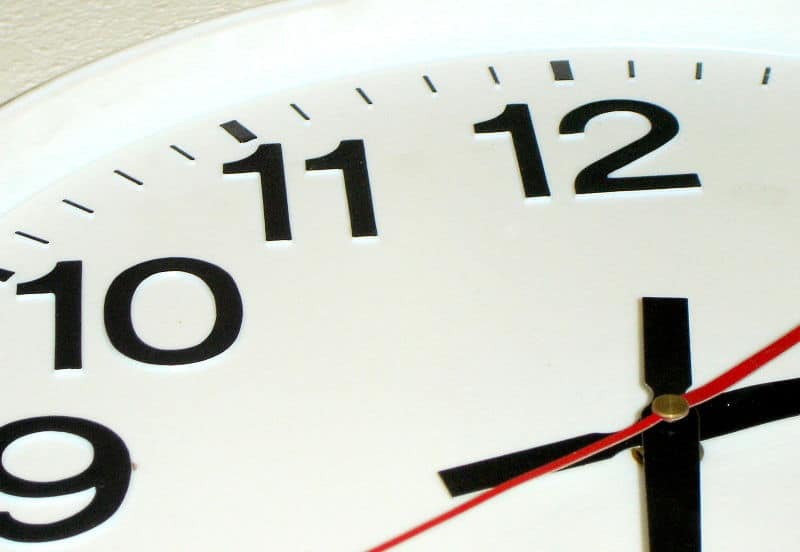 You’ll still get your place clean, but in much less time, which means you’ll get to enjoy your weekend, too! Isn’t that what it’s all about, anyway? I mean, we all want our homes to be tidy and pleasant, but who wants to spend all of their time on it? I sure don’t. If you’ve got young children, a job outside the home, or both, your free time is already at a premium. 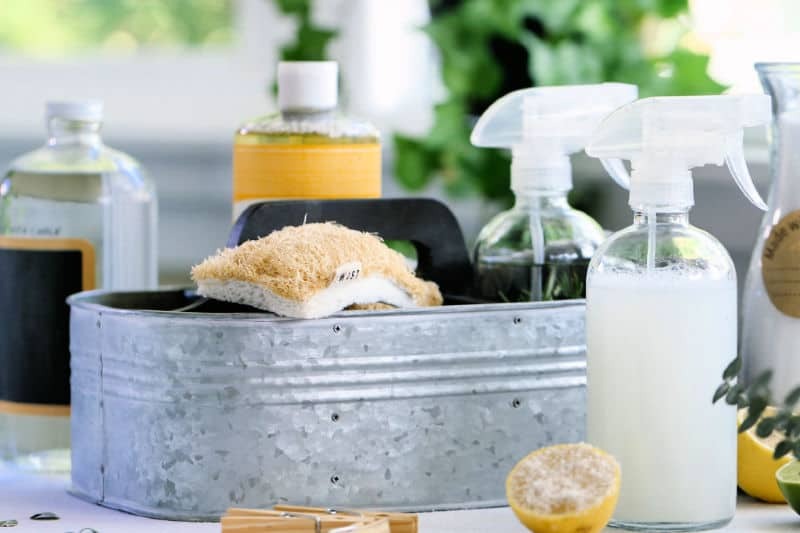 These ways to make cleaning faster will help you get your house tidy without taking all day. Housework will always take longer if you have to go back and forth between rooms to get the proper supplies. If you’ve got the space, keep a stash of supplies in each bathroom and another in your kitchen so you have what you need where you need it. If you’re short on storage space, keep one easily carried cleaning caddy wherever you store your supplies. Fill it with an all-purpose cleaner, glass cleaner, furniture polish, microfiber cloths, rubber gloves, trash bags, and a squeegee. With a well-stocked caddy, you’ll clean faster because you won’t have to spend time hunting things down. Don’t start dusting one area then pause to put clutter away elsewhere. To clean your house efficiently, you need to make every step count. That’s why professional house cleaners work a room from top to bottom, left to right, starting at the door. Following this pattern means you declutter, dust, scrub and polish one area before moving onto the next. Once you’ve worked your way around the room, sweep or vacuum the entire floor starting at the far wall and working your way out the door. 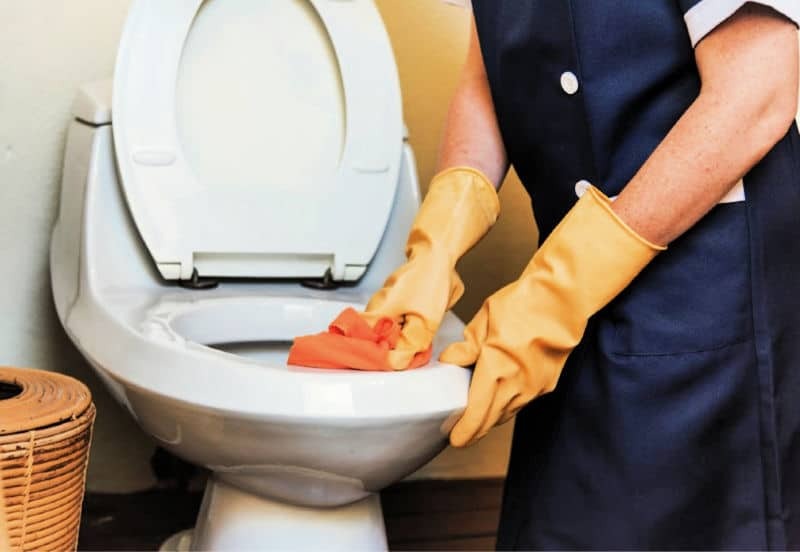 Precleaning is a two-step process which counterintuitively makes cleaning faster. Clear the surface completely. For example, instead of picking up one thing at a time from your bathroom vanity and wiping that spot, clear all of the items off of it at once. Using some products properly involves waiting. Disinfectants need a chance to work; degreasers take time to bust through grime, etc. This goes for homemade cleaning products, too! After pre-cleaning, apply products first which require waiting time and let them do their thing while you tend to other areas in the room. You can multitask further by starting a load of laundry before you begin working on a room then switching it from the washer to dryer when you’re ready to move on to the next one. Having the right tool for the job is a basic rule for most projects. It applies to housework, too. For example, a broom will never, ever get your floors as clean as a vacuum. 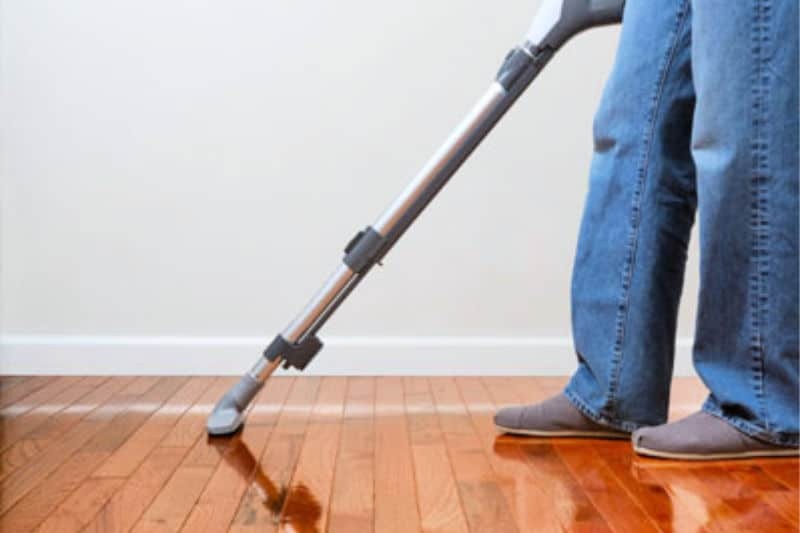 If you have hard floors, a cordless stick vacuum is faster to use, and you won’t have to deal with that annoying line of dirt that never seems to make it into the dustpan. Some people like to do all of their dusting one day, do the floors the next, then deal with the bathrooms, kitchens, and laundry on other days. 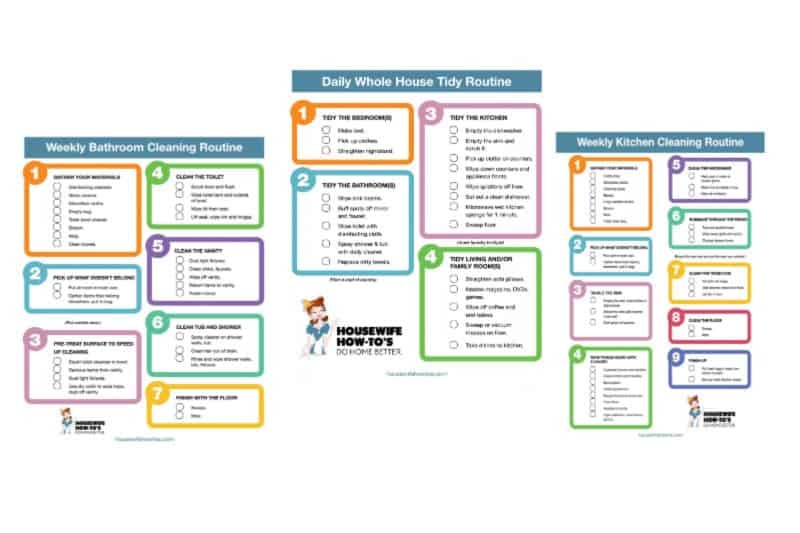 Others, including me, like to use printable weekly cleaning checklists to clean an entire room before moving onto the next. However you prefer, the important thing is to have a system rather than puttering around here and there. Don’t wait until your home looks messy. Cleaning proactively makes housework go faster. 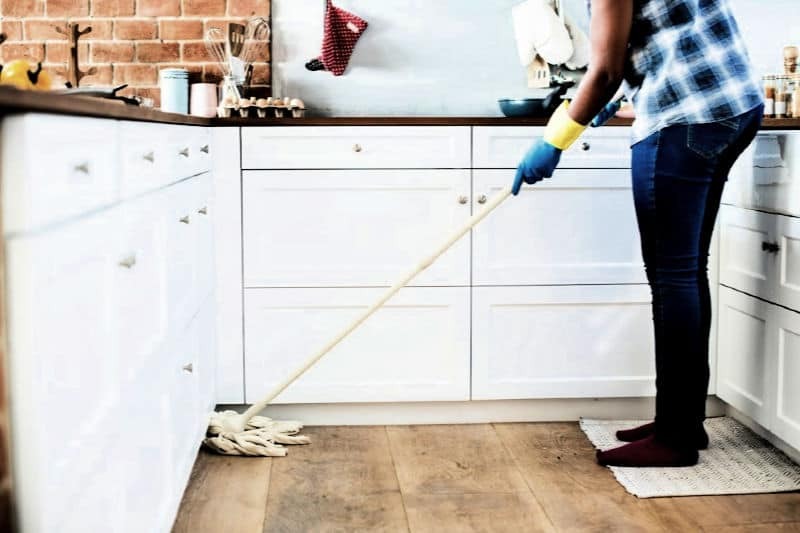 For example, it takes a lot less time to wipe a lightly-soiled countertop than it does to move things aside, sweep up the crumbs, then spray and scrub it. 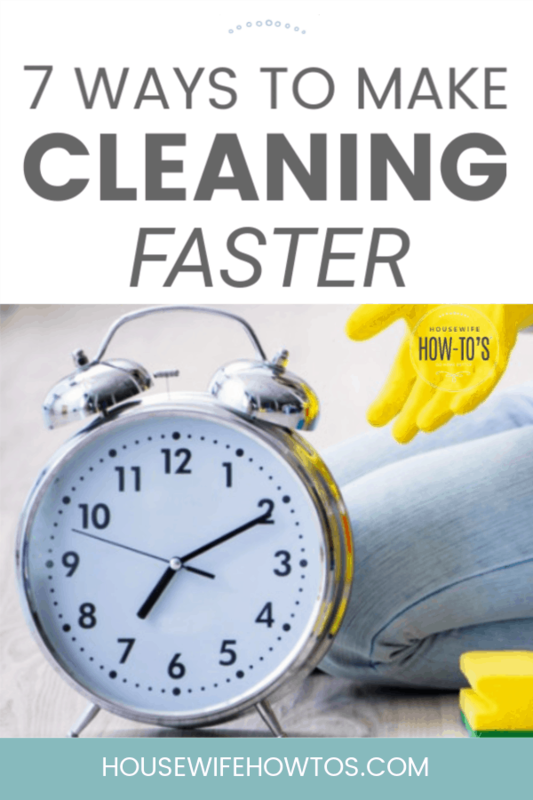 The same goes for dusting, vacuuming, even mopping — when you do it regularly, there’s less dirt to cut through, so you’ll be cleaning faster and have time to do other, more enjoyable things.